Elected ETTU President Ronald KRAMER took the opportunity to address to the media representatives after he has been elected at the ETTU Congress in Schwechat during the LIEBHERR European Championships. In his speech to the media President KRAMER underlined the turbulent period that ETTU has been through in recent past. “We were all witness of deep crisis. My ambition is to get organization in order. However, too many people asked me to candidate for Presidency and I found it hard to say no,” stated President KRAMER. The complete video of the press conference is available here. Ronald KRAMER (born in Gosford, Australia, 1954), grew up in Amsterdam from 1960, holds a Masters degree in international law (University of Amsterdam, 1978) and has devoted almost all of his time to the development of sports and sports policy, as volunteer and in his professional capacity. He started his professional career in 1979 as a junior policy advisor at the ministry of Culture, Recreation and Social Work in the international relations department. Until 1985 he also was secretary of the coordinating body for sports policies of the national, provincial and local authorities in the Netherlands. From 1985 to 2001 he held different managing posts at the Sports department. He has been active at international level as member and vice-president of the Sports Committee of the Council of Europe. In 1990 he was elected president of the Standing Committee of the Convention against spectator violence, until 1996. In the same year he prepared and organized the First European Round Table Conference on Sport, Tolerance and Fair Play in Amsterdam. In 1996 President KRAMER was appointed deputy director of the Sports department. In 2001, he left the Ministry and joined the management of NOC*NSF as managing director for sport for all. Out of a number of initiatives, he was the co-initiator and first chairman of the National Sports Week: an annually recurring week of sports promotion in the Netherlands. From 2004 till 2007 he has been a senior consultant and manager at the National Institute for Health Promotion and Disease Prevention. Since 2008 President KRAMER owns a private business in sports management and consultancy. Since 2010 he is Associated Partner at Twynstra Gudde, one of Holland’s leading independent management consultancy firms, that was i.a. responsible for the programme management of EURO 2000 in Belgium and the Netherlands. Since mid-2010 he has been Director of the Orange Sports Forum. 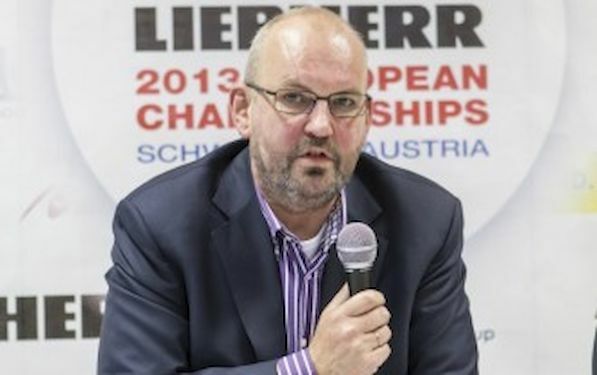 In his spare time President KRAMER is president of the Governing Board of the Netherlands Table Tennis Association (elected in 2010) and Vice-President of the European Table Tennis Union (elected in 2012). Ronald lives in the Netherlands, has a wife and has two children (born 1983 and 1986).